Traditional Ceiling Light & Pendant in Antique Brass for Rustic Home. 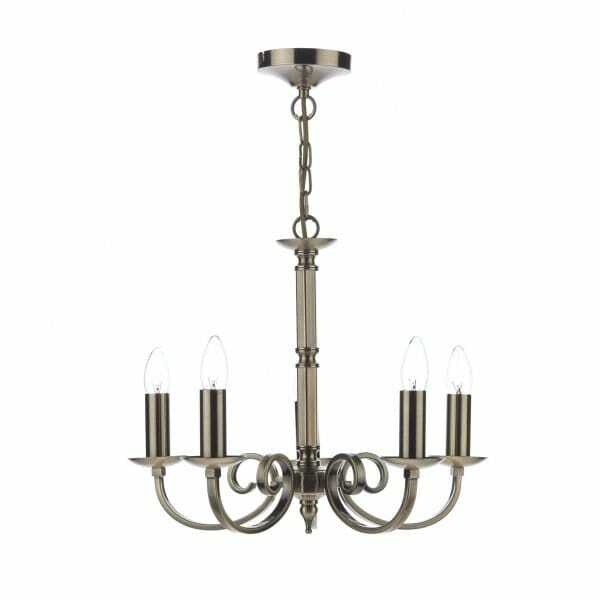 This ceiling light comes in an antique finish and has 5 lights, it can be mounted as a ceiling light or as a pendant suspended on chain to allow for a drop of up to 90cms. The light looks great with or without shades, please contact us if you require shades for pricing. This would look great in any traditional setting and as a pendant it would make for a good over table light.